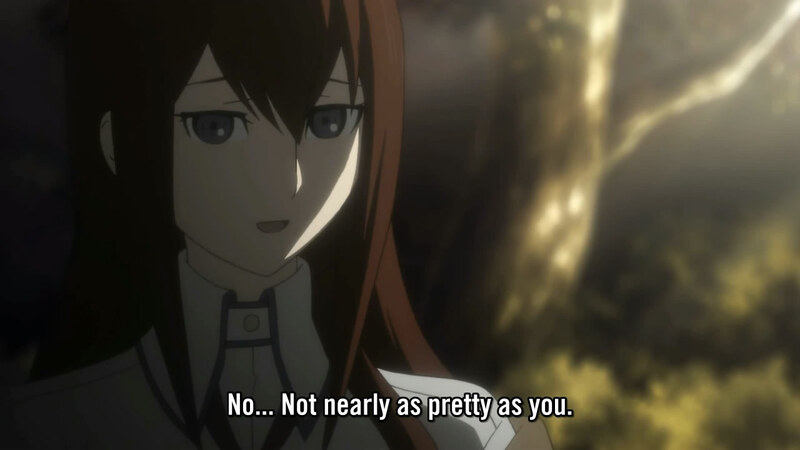 Steins;Gate 4 - Don't Do It, Kurisu; IT'S A TRAP! I actually enjoyed this episode quite a bit. I'm starting to see how Okarin really brings this anime together to make it amazing. This episode was more about expanding on his quest for the IBN machine and less about expanding the mystery. 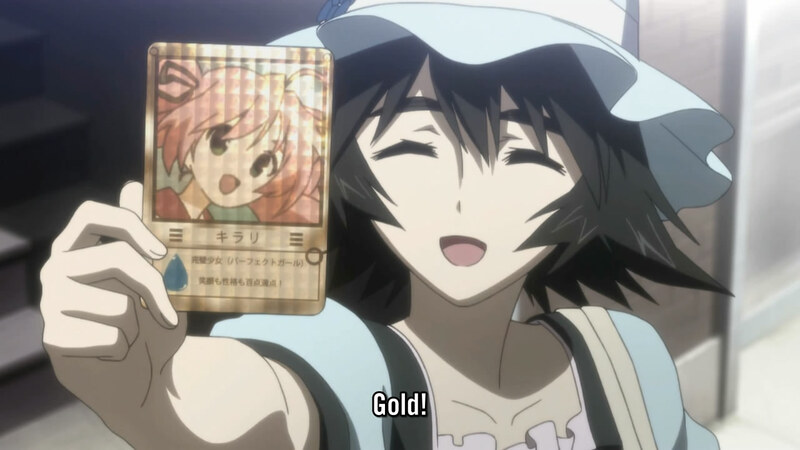 They explained in this episode why the IBN 5100 was so important, as Okarin set off in his quest to obtain one. 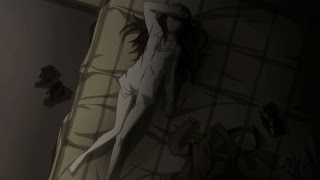 I loved this scene in Kurisu's bedroom, although not for the blatant fanservice, but for her monologue. You got to see her confront herself; it is never easy to find out that your theories were proven wrong. For her, it was so much so that she refused to admit it was time travel and was attempting to find other reasons to justify the results she had observed. I guess I just enjoy inner monologues like these. One thing that was extremely noticeable in this episode was the banter between the characters. 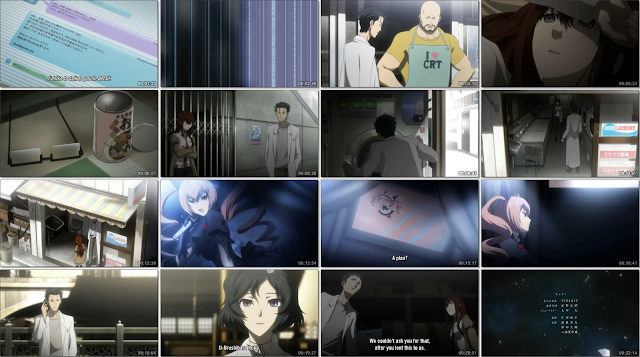 It made up a majority of this episode and I feel it was really well done. Having unique characters really brings them alive with the bantering. I loved the interactions Okarin has between pretty much every character in the cast. 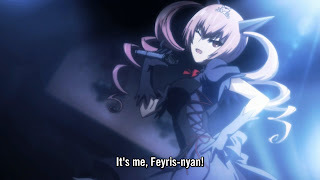 I guess that is proof of a very strong main character, something that I'm not used to seeing. I think I enjoyed this episode mainly because of this said bantering. It showed the strengths of the different characters. The plot seems to be going nicely, and I'm enjoying this series more and more. Hopefully this anime delivers for me.